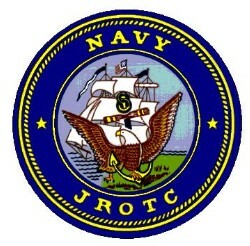 The Taft Navy Junior Reserve Officer Training Corps was established in August of 1996 and has been an award winning unit ever since, receiving national recognition. The mission of the NJROTC program is to instill in students the values of citizenship, service to the United States, personal responsibility, and a sense of accomplishment. The following are goals of the program as established by the Chief of Naval Education and Training. The curriculum emphasizes citizenship and leadership development, as well as maritime heritage, the significance of sea power, and naval topics such as the fundamentals of naval operations, seamanship, navigation and meteorology. Classroom instruction is augmented throughout the year by extra-curricular activities of community service, academic, athletic, drill and orienteering competitions, field meets, flights, visits to naval or other activities, and physical fitness training.